This is a custom order item, not in stock. Please allow 1 week for production. 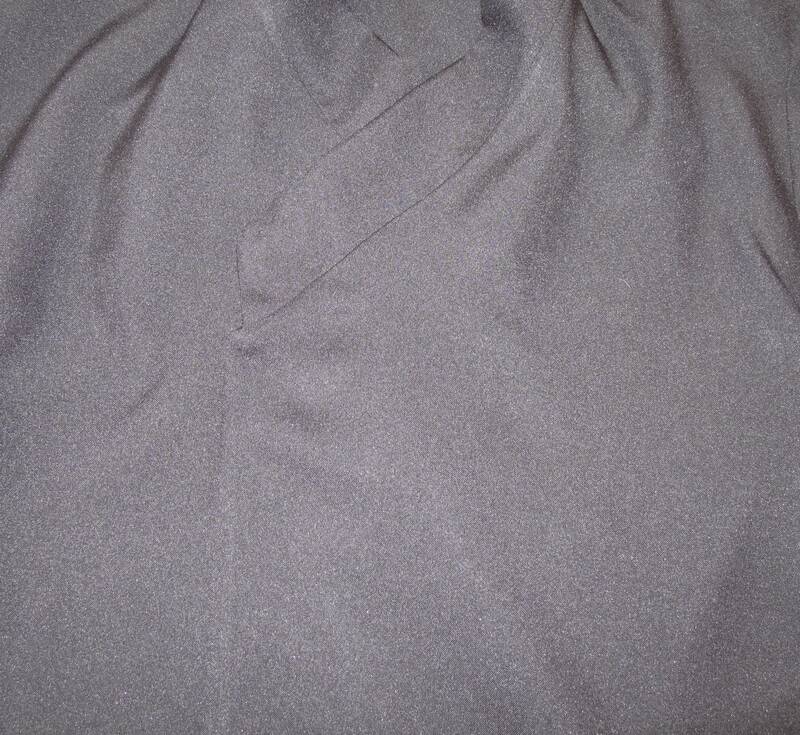 Fabric: Poplin. easy care instructions. Machine wash, low heat dry, steam iron.Wash and wear. THE SHIRT HAS FACINGS, IS NOT LINED, HOWEVER ALL EDGES ARE OVER LOCKED. 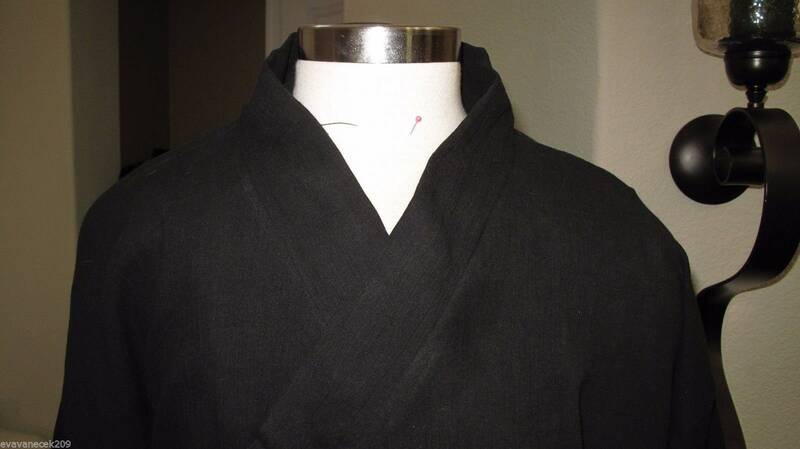 Regular collar and THE SLEEVES HAVE ELASTIC AT THE WRIST TO KEEP THE SLEEVE IN PLACE, BECAUSE THE SLEEVES ARE AROUND 6 INCHES LONGER THAN A REGULAR SLEEVE TO CREATE THE PUCKERS AT THE WRIST. 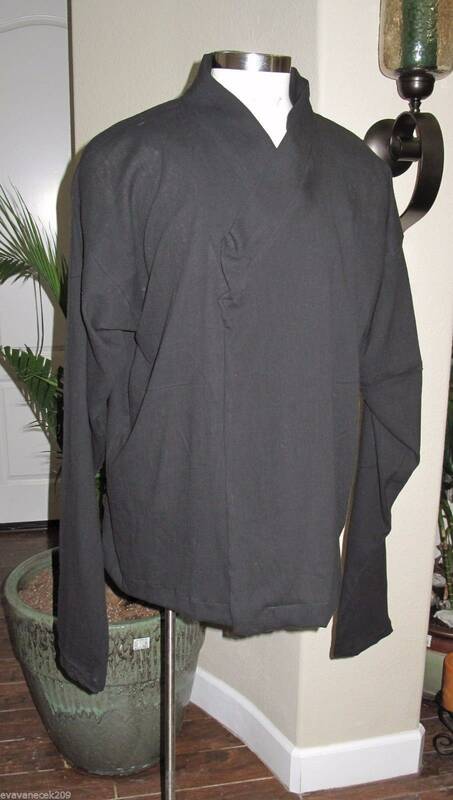 THE SHIRT HAS SNAPS IN CENTER FRONT TO KEEP IT IN PLACE AND ALSO HAS TIES TO TIE TOGETHER THE UNDER FLAP OF THE SHIRT. 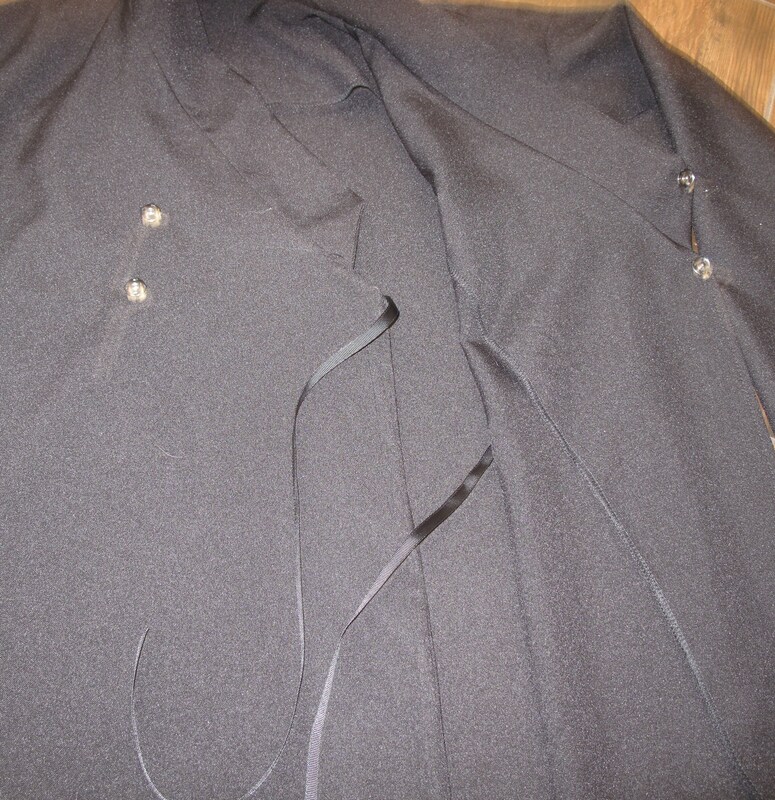 ALL SEAMS ARE UNDER STITCHED WHERE IT APPLIES TO MAKE THE SEAMS LAY FLAT. ALL GARMENTS ARE PRODUCED ON INDUSTRIAL MACHINES AND STEAMERS TO ACHIEVE THE QUALITY DESIRED. ANY QUESTIONS , PLEASE ASK. THE COSTUME IS PRODUCED BY EVA VANECEK. SMALL - 42" 21" 30"
Medium - 46" 23" 31"
XLARGE - 54" 27" 33"
1XL - 56" 29" 34"
I do attend several big conventions a year, such as San Diego Comic Con , Wondercon etc........ If you do not hear from me, I might be out of town , be patient I will respond when I am able. After purchase, I generate the shipping label and label the priority box to keep the orders organized. When the costume is finished and shipped the tracking label will activate. Please keep this in mind. The order can take anywhere from one week to 2 weeks to deliver. Sometimes I run out of fabric, have to order, it takes awhile to get in. be patient, it will be delivered. PICK YOUR SIZE UPON PURCHASE. ANY QUESTIONS , PLEASE ASK. THESE ITEMS ARE CUSTOM MADE BY EVA VANECEK . TAKES SEVERAL DAYS FOR PRODUCTION UNLESS THE SIZE IS IN STOCK, THAN I SHIP THE NEXT DAY .